This feature has been released as a Standalone product on Steam! Check it out! 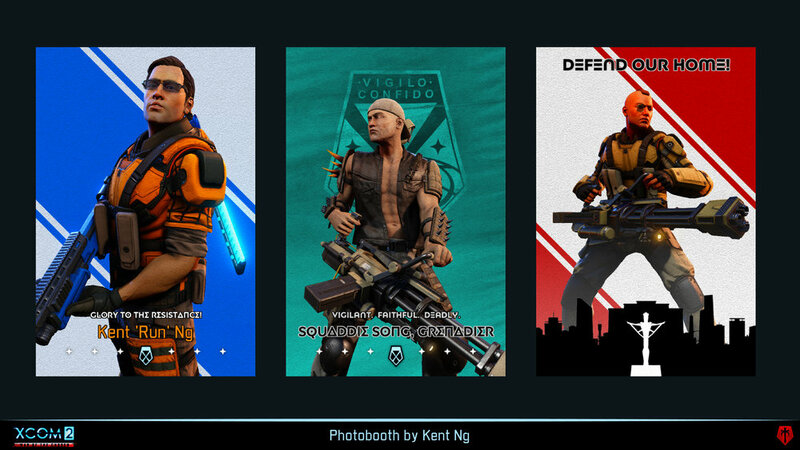 In the XCOM 2 expansion, one of the exciting new features is the Photobooth; used to create player-made propaganda images that can be exported and will also appear as decor in-game. I had the privilege of designing both the function and aesthetics of the Photobooth. The initial challenge with this project was having to create fantastic backgrounds and layouts that were modular enough to fit the players' creative goals. 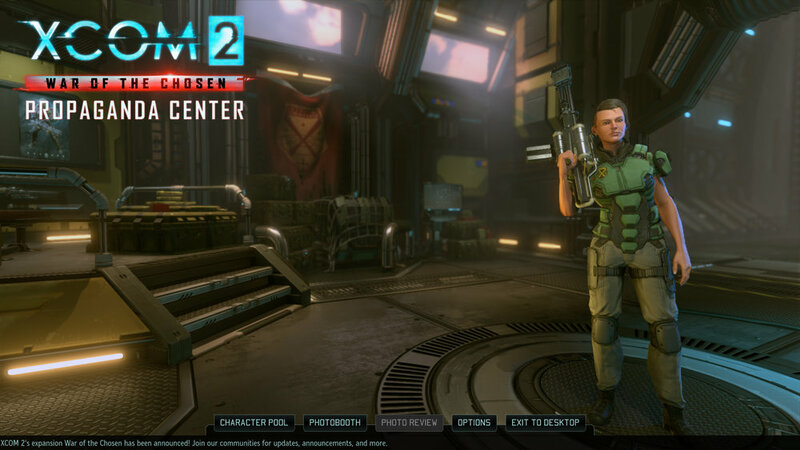 Our solution to this was to create a variety of layouts that could be edited by a gradient map, allowing for a deeper breadth of color range compared to a simple tint. I was responsible for developing this system, starting from Photoshop mocks to working with our engineering team to get it going in-game. Later on, my tasks were mainly in sorting out the available color palette along with polishing and finalizing the individual background and layouts of each poster.